You’ll have to look beyond the idea, no matter how flashy, and the initial sales to determine whether the venture is likely to stay strong long enough to achieve significant returns. Leadership: who’s at the helm? The founder or director is the one who lays the foundation for the startup’s culture. If they’re not able to do a good job of this, it’s highly unlikely that they’ll be able to build towards success. A startup’s founder must be someone with a definite vision for the organization and thorough knowledge of the company—from an understanding of its finances to dedication to the cause. Blind optimism - While being optimistic is essential for the growth of startups, a leader must also be realistic about obstacles that are likely to crop up along the way. Inability to work with the board to achieve goals - Someone who doesn’t inspire confidence or place any value on the need for a solid board of directors is a potential red flag as they’re unlikely to accept suggestions or constructive criticism. This can lead to resentment and prejudices on either side—not good in an organization seeking growth. A founder who doesn't readily provide information - Studying the behavior of the founder can be useful in flagging issues within the organization. For instance, if they always seem hesitant to provide necessary information—especially when it comes to finances—it’s a good enough reason to drop the deal. Governance and the board: who’s navigating? Take a good, hard look at the board of directors that heads the startup on your shortlist. The saying “too many cooks spoil the broth” is especially true for startups. Too many people, especially those who have no understanding of the organization, can be detrimental to growth. Assess the structure of the board and see how it collaborates with the founder in executing plans as well as when solving problems. Keep an eye out for potential wrinkles. A lack of balance in responsibilities - These should be shared strategically between the board and founder. Spouses, relatives, or other staff members on the board - This isn’t a good idea if they’ve just been given a spot instead of being chosen for their experience and skills. Often, this is done by organizations in order to comply with the legal requirement in some states that requires 51% of the board members to be unpaid. Otherwise unqualified board members - A board that doesn’t have members with the actual experience and skills to help the company grow—fast—is likely to turn into a liability. Human resources management: people matter. A transparent system of recruiting and training is a sign of a healthy startup culture. An organization with an efficient administrative system in place is likely to prosper in the long term. Absence of written personnel policies - A healthy startup should clearly outline the nature of employment and compensation, an efficient system for performance reviews, and updated personnel files that contain details like payroll and tax information on each employee are all indications that things are on the right track. Low employee retention and high attrition rates - These hint that all is not well with the work culture. There have been many (extremely well-publicized) stories of toxic startup cultures that protect and encourage harassment and lack of diversity. People are everything in a startup—make sure you’re investing in good people. Oh and by the way, statistics indicate that a large number of employees—a whopping 88% in fact—believe that a distinct workplace culture is what helps an enterprise attain success. Analyze the financial structuring such as budget allocation, the type of financial reporting, cash flow, and any internal controls that are in place. Check whether overhead expenses are manageable and the profit margin is big enough to sustain meaningful growth. A modest profit margin would be somewhere between 10% and 15% depending on the industry. 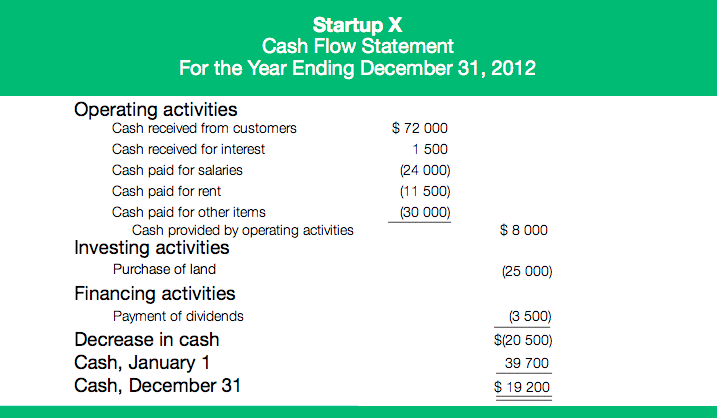 No accounts management system - How does your startup monitor payments and receivables? Overdue payroll tax payments - This goes without saying, but it’s never good to owe the IRS. No repeatable method of generating and reviewing financial reports - A startup should be able to report on financials on a regular basis. Only one person looking after accounting - For instance, if only the founder has signing authority for checks and banking transactions, who’s making sure that they’re not “accidentally” overspending on parties and entertainment? Past investors who helped raise money for the organization are now unwilling to reinvest - This can indicate a significant problem with the company. If the reluctance to reinvest is simply because the previous investor doesn’t have the funds to spare, then it’s not as big of an issue. However, if it’s because they’ve lost faith in the startup, you’ll probably want to find out why. While it may not be possible for a startup to secure a diverse funding base initially, it’s important that stakeholders like the board and the executive director have a plan for this in the near future and are working towards achieving this goal. Being overly reliant on a single source of funding and unwilling to explore other options for diversifying the fund base isn’t prudent—and is a definite red flag. If a company has no experience in fundraising or is disinterested in ensuring future funding, you might want to eliminate it from your shortlist. 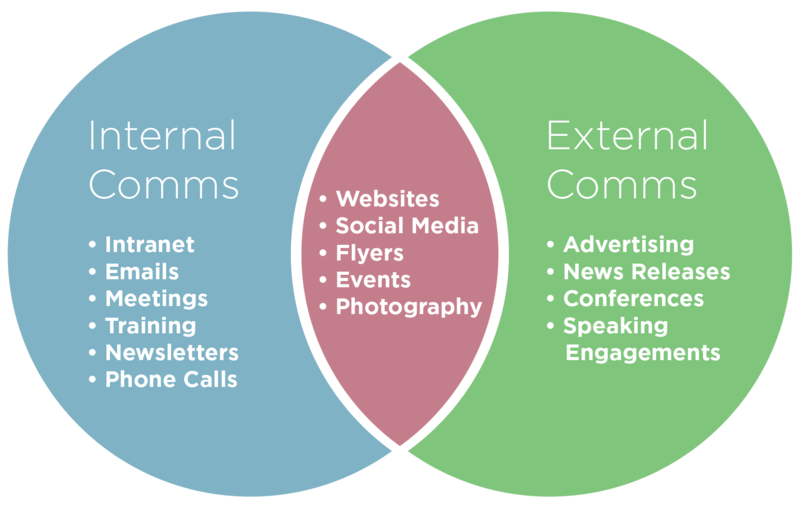 Communications: information sharing is essential. The importance a startup gives to communication, both internal and external, can tell you a great deal about the culture of that organization. If the organization doesn’t believe in easy flow of information and clarity in messages, that’s definitely a red flag. In a high-risk enterprise such as a startup, communication helps ensure that everyone is working towards the same goals and makes for a well-oiled machine that operates smoothly. Lack of communication between team members - How to spot this: employees stepping on each other’s toes and doing redundant work because no one knows who’s working on what. This could be because either the team is unwilling to work together (which is a hiring problem) or they don’t have the tools to communicate (which is a whole other can of worms). Lack of communication between execs and the team - To spot this one, notice if the team looks engaged and focused on clear goals. Is there confusion on which projects have priority or what revenue drivers are the focus for the upcoming quarter? Either of these is a sign that the executive team isn’t communicating its vision and goals to the rest of the company, and could result in missed targets and inefficiencies across departments. Lack of communication between the company and its customers and prospects - When a new product update is released, do customers know? Who writes the press releases? Are there email newsletters being sent out? Is there a social media manager or team that’s responding to questions on Twitter, Facebook, and LinkedIn? 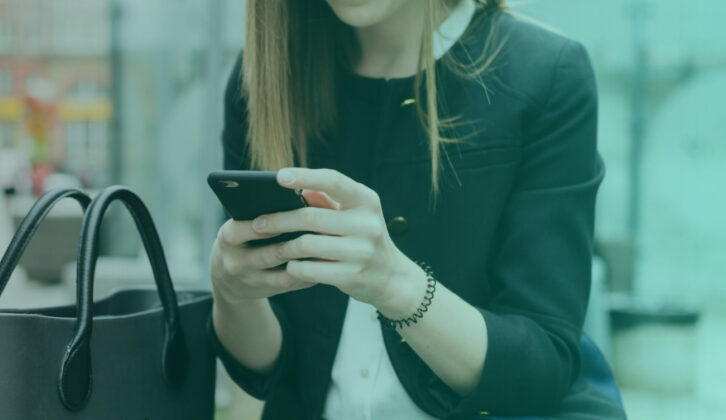 Communication with your current (and future) customers is absolutely crucial if you want to drive revenue, and a startup with no clear customer-facing communications plan is a huge red flag. Intellectual property (IP) rights: ideas and ownership. There needs to be clarity around IP rights, especially when it comes to tech startups. Unclear IP rights - A startup is nothing without its product. That’s why it must demonstrate a clear line of ownership over its operational technology, and at the very least, it must be able to assert its right to use all key components of this technology. No IP lawyer or legal advisory team - This is pretty self-explanatory, but your startup should have the services of a legal expert who can help with patents and copyrights in order to protect its ideas and product innovations. There’s no room for ambiguity in this area. Always be on the lookout for these red flags. 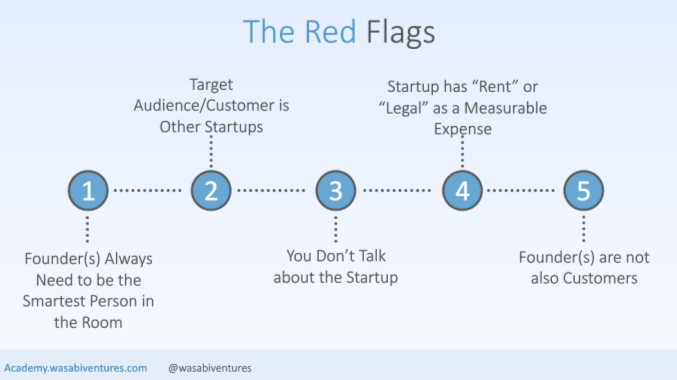 While it’s likely that most startups will raise one or more of these red flags, it’s important to look at the big picture before reaching conclusions. Being armed with information gathered through diligent research will help you arrive at the right decision and reduce the risk of failure in the long term. How do you find a unicorn that can live up to its hype and has true staying power? Read on to find out.